Today I had a wonderful morning, and went into the afternoon with high hopes. And what do high hopes lead to? Disappointment. I was going to post this as a facebook status, but the stark naked words looked kind of dramatic. 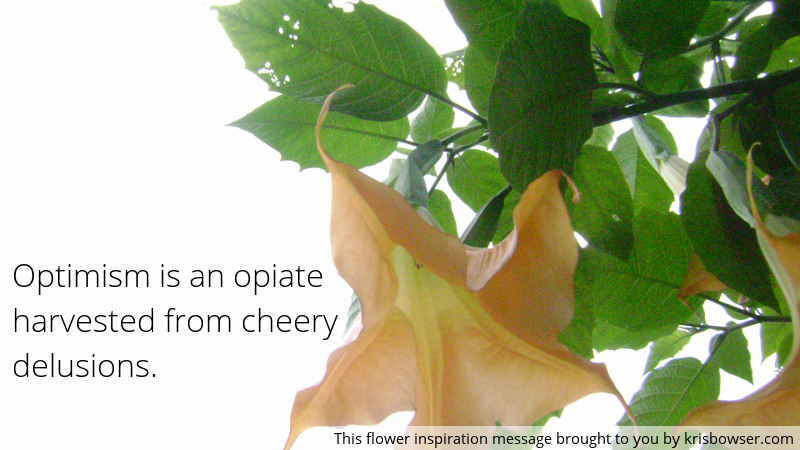 Hence, I have turned my grumpy sentiment of the day into a flower inspiration message. I don’t know what kind of plant that is, even though the photo is one out of a gazillion photos I took at the botanical garden just last month. The flowers look like upside down trumpets, which makes it inspirational. Tagged adventures, art, flower inspiration message, graphics, humor.